The seafood restaurant Casa Orazi is on the Dock of Fano, Via Puccini, the Hotel Augustus, also run by the family Orazi. 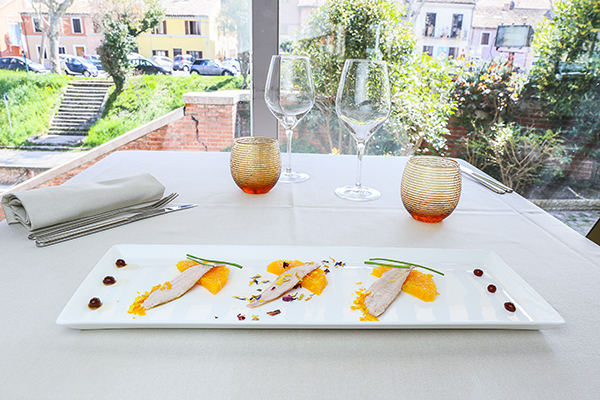 Simplicity, exaltation of the natural taste and freshness combined with the tradition and creativity: these are in brief the virtues that you will appreciate the restaurant Casa Orazi Fano, a certainty in the gastronomic Marche. Going from Fano is a must taste our soup, award-winning years as "Best Brodetto of Italy". There are many customers who now are fixed stage here at Casa Orazi: tourists, families, businessmen and personalities of the jet set. Casa Orazi is a restaurant enjoyed by all lovers of good fish - without exception - and recommended by all major food guides of Italy. Subscribe to our mailing list service.